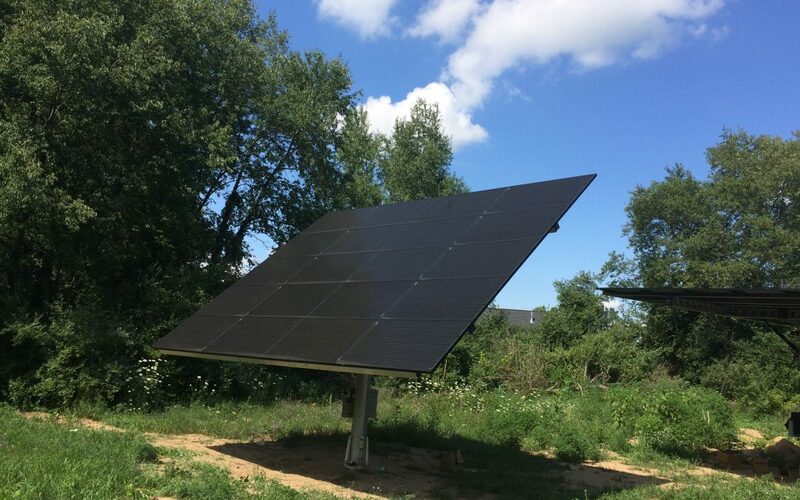 Quality Solar completes a dual axis solar panel tracking installation in Allendale, MI, which is located in greater Grand Rapids area. The dual axis tracker is about 45% more efficient than conventional solar mounting structures. This means that it requires less panels to get the required production. This highly technological and yet very practical solar system goes flat at night (or during high wind mode) and wakes up with the sunrise to follow the sun throughout the day. Based upon the install location the solar tracker has coordinates programmed into it and thus it knows exactly where the sun will be throughout the day/year. These high producing solar arrays come with warranties both on materials and labor, carrying the Quality Solar seal of workmanship. Financially, solar always makes sense. There remains a 30% Federal Investment Tax credit on the total project cost for solar systems. Additionally, there are a number of other potential incentives and grants for residential, agricultural, and commercial solar systems. Why write a check to your utility every month when you can generate your own electricity, save many thousands over the life of your system, and essentially write that check back to you? Contact us today for a free solar feasibility study and exercise stewardship through renewable energy.